In a recent video, Josh Trank and Simon Kimberg talked about their casting decisions for the main cast of Fantastic Four. 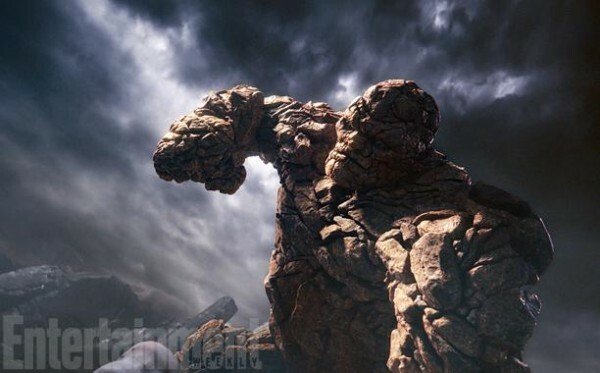 I’ve been very supportive in what I’ve seen so far through set photos and a teaser trailer, but one concern for me is when we’ll get a definitive look at The Thing. While we may have to wait till the next trailer to see the big guy in action, we finally have our first up close look in an image released by Empire Magazine. 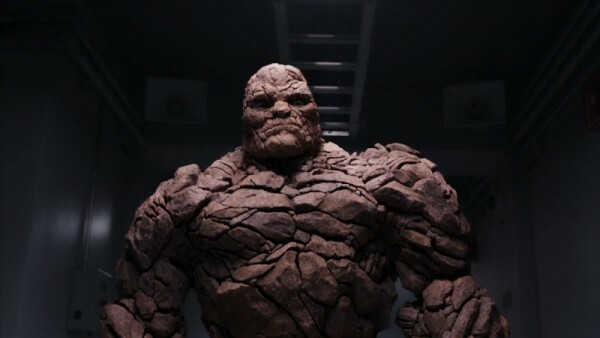 Josh Trank discussed the importance of wisely using motion capture, so that actor Jamie Bell can bring out the personality of the Ben Grimm character while transformed. When considering the film’s dark and grounded tone, along with the advancements in motion capture, this is about what I expected, and that’s a good thing (excuse the pun). Now I’m looking forward to seeing him in action and also the sound of his voice. 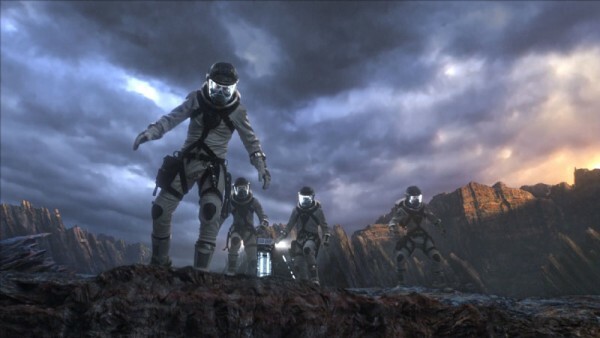 Empire has also released other images showing Reed Richards, Johnny Storm, Sue Storm, and Ben Grimm exploring another dimension. 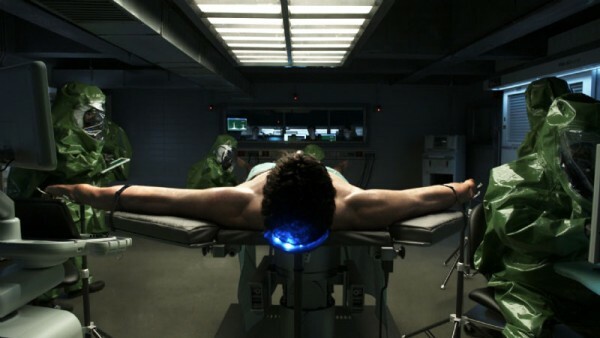 There is also another image of Reed Richards lying on the table, with unusually long arms.